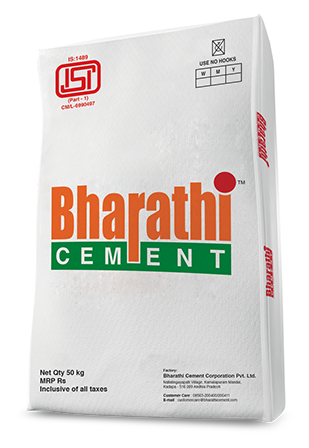 Portland Slag Cement (PSC) is a premium composite cement produced from superior quality Narzi limestone, using next generation German technology to meet international standards. Slag cement begins in an iron blast furnace. Carefully controlled amount of iron ore, along with limestone or dolomite are fed into a blast furnace and heated to 2,700°F. When molten, the iron is tapped for steel production and the slag is diverted to the granulator. Here, the slag is rapidly quenched with large quantities of water. The process minimises crystallisation and forms granulated slag, which is composed principally of calcium aluminosilicate of lime, which has a glassy form. Formation of this glass provides slag cement with its cementitious properties. At this point, the slag possesses the consistency of fine sand. It is then dewatered and dried. Finally, the slag is ground to a fine powder and becomes slag cement, or it is inter-ground with Portland cement clinker to make a blended cement.